Price changes based on where you obtain it: I got mine in Bamako, Mali in April and July 2014. 24,000 CFA for 90-days single-entry; 31,000 for mutiple-entry. Embassy located in the neighborhood called ACI 2000 (deux-mille), north-west of the Cité Administrative. 2 photos required. You can have them done on the spot at the embassy; 4 for 2500 CFA, done with an awesome old polaroid camera! I then proceeded to give my new passport a bath, as there was a downpour between leaving the Embassy and arriving back at the hostel! $190 CAD for 5 year, 36 pages. I did not opt to pay the $70 more for a 10-year, as it still comes with the same number of pages. I used a CC authorization form, which charged an extra $6, but I was happy to keep my hard currency. You can also pay in cedis. Canadian embassy located on Independence ave, near to the overpass at Ring Rd. East. Open from 8-12 M-F. Required: 2 photos. They are strict about this! They must be the proper size, which is slightly larger than most other passport/visa ones, and you must follow all the hair, teeth, etc. guidelines, or they will be rejected and you’ll have to fight with the photo place for new ones! Obtained in Ouagadougou, Burkina Faso. April 2014. Several options; I took 60-day double-entry for 20,000 CFA. Ghana visas are not supposed to be issued outside your home country, but armed with my winning personality and a bag of apples, I wooed my way into one! And scored a free ride into Tamale with a guy working at the Embassy! Required: 4 passport photos, written letter explaining why you need a visa and didn’t get it at home*, onward travel documentation, financial documentation, copy of yellow fever vaccination, letter of invitation from a Ghanaian with copy of passport, info for one additional Ghanaian reference, and all the charm you can muster. *note: for this letter, I have the feeling that travelling long term is not a viable reason. I got by because I wasn’t aware that I could have gotten my visa so far in advance, and that it can essentially be “activated” whenever you cross the border. For 50 GHS I extended my visa for an additional 30 days. Done in Kumasi, located near the Vodafone cafe. Obtained in Ziguinchor, Senegal. March 2014. Prices and lengths vary up to 1 year; I took 30-day for 20,000 CFA. Very easy process; empty office and extremely friendly and helpful guy. Bring 1 photo or copy of your passport info. Obtained at border from Kidira, Senegal. April and July 2014. 20,000 CFA for 30 days. Some sources report that you must visit some office in Bamako to officialize the visa, but I never did this, and never had a problem. I also left Mali after approximately 32 days, and had no problem either. On crossing the border, see here. Obtained at Moroccan border. February 2014. €45 for 30 days. On crossing the border from Morocco, see here. Obtained on the ferry from Tarifa, Spain. November 2013. 90 days free; only need to leave the country (eg. go back to Spain or hit the Canaries) for a day to get another reissued upon arrival. Obtained in Nouakchott, Mauritania. February 2014. €50 for 90-day multi-entry. 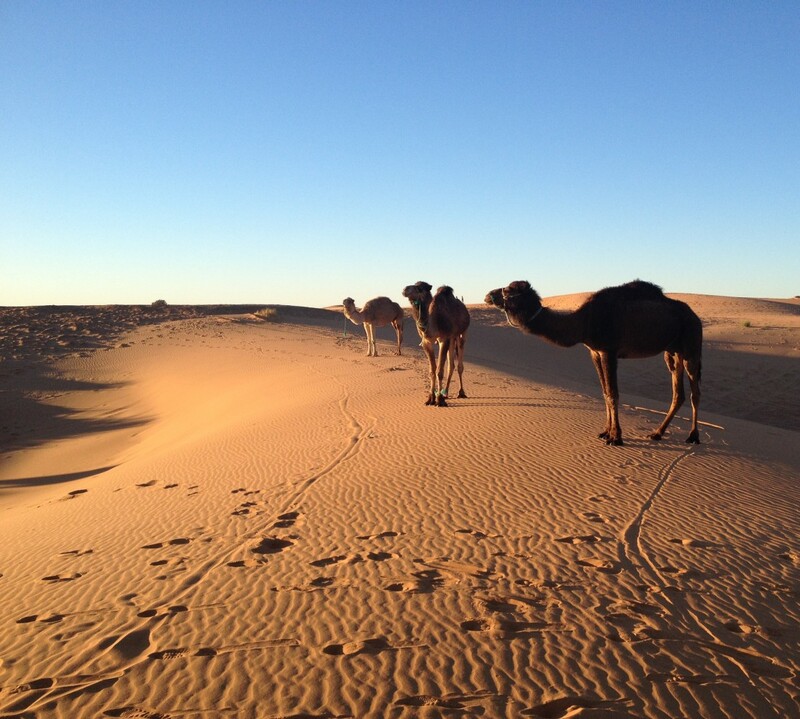 The embassy is located 5 minutes walking from the Auberge Sahara. Visa applications are taken from 8am to 12pm… after 12 and they tell you to come back the next day! You will need to pre-enrol using the website here. You will receive one confirmation email immediately upon payment. This is all you need; same-day visas are still issued, with or without the second email. also bring: 2 passport sized photos (can obtain cheaply and easily around Capitale market/city centre – they don’t have to be good quality) and a copy of the first 5 pages of your passport. Give this all to the man in the little window. He’ll check them over and let you in. Inside the building, they’ll take your fingerprints and a photo (why you include your own copies, I’m not sure). They will instruct you to come back at a specified time in the afternoon (2:30pm for me). Come back then and off you go! …. But don’t actually try to leave that day. You will end up sleeping at the border. Leave the next morning. On crossing the border from Mauritania, see here. Well, it turns out I never actually made it to SL. Obtained in Banjul, Gambia. March 2014. $100USD (other currencies not accepted). The office is as listed in the LP, on Daniel Goddard St, in what I call “Banjul proper”. It’s not far from the garage where you’ll get out, if you take local transport. Required were 2 passport photos, which I still had leftover from the ones I got in Nouakchott for my Senegalese visa. Most of the spaces for references, contacts, finances, and other documentation can be left blank. Issued same day; apply in the morning, collect in the afternoon. Obtained at border from Tambacounda/Vellengara, Senegal. March 2014. Free. More on my border crossing here. First of all, great blog! Very beautiful and informative. I just have a quick question about the online Senegal visa. I’m traveling from Mali to Senegal (probably crossing in Kidira). It seems simple, but apparently you need to show proof of onward travel. However, I’m planning to take public transport (taxi, minibus, or whatever I can find) so I don’t have any tickets to show them. How did you deal with that? Hi Molly! Thanks so much! I can’t remember now exactly what I put, but I know that I left some spaces blank, and only looked up a name of a hotel for a reference. I, and many others, have travelled the same way you are, so I’m sure it’s normal not to have that info! Good luck! And let me know if you have any further questions! Cool, thanks! I’m working on it now, hopefully they accept vague plans to catch a bush taxi to Nouakchott as an acceptable ticket reservation, haha! Thanks for being so helpful! I’m sure I’ll have more questions later. How’d it go, Molly? Still in Mali? I’m not surprised! It’s all mainly just for show. Glad to hear you made it!